Master 4 at our place is loving patterns at the moment. 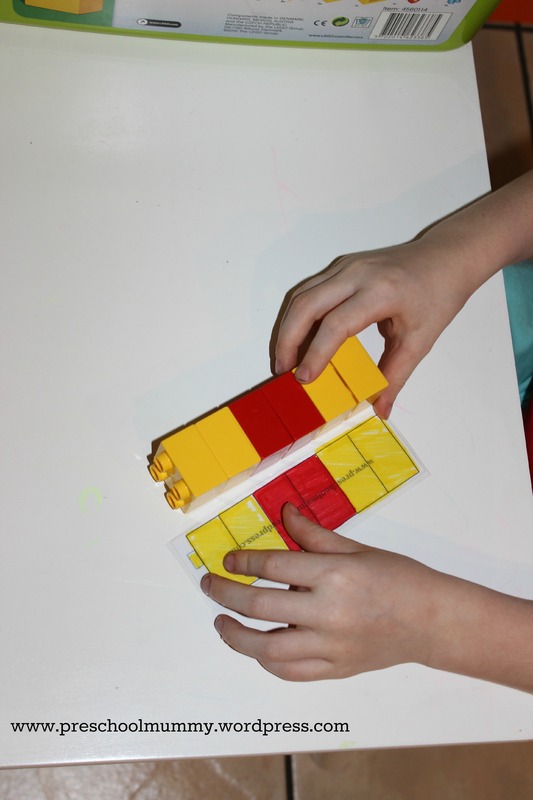 Patterns are such a fundamental aspect of early childhood mathematics learning, so I want to harness his interest and combine it with another thing he adores right now – Duplo. I made him up some simple pattern cards using this template. 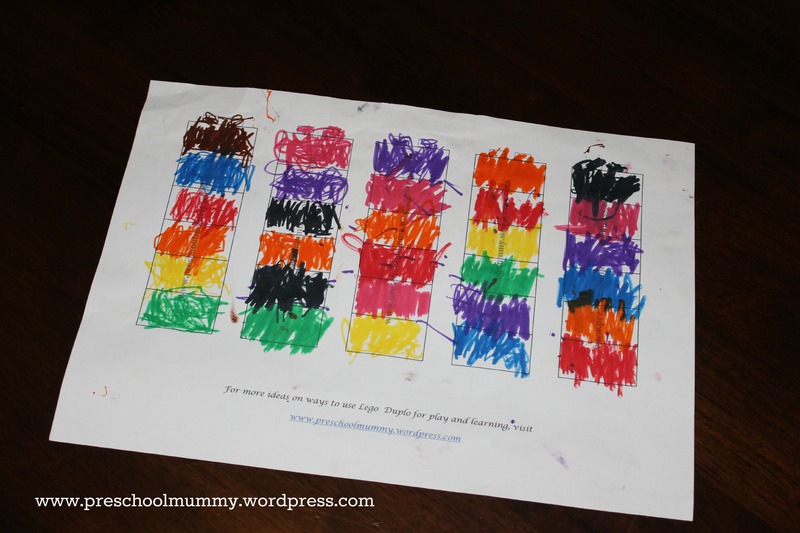 I simply printed them up, coloured in some patterns for him to copy, cut them up and laminated them. You could alternatively cover them in clear contact if you don’t have access to a laminator. He has enjoyed copying the patterns on the cards, “reading” the patterns aloud to me (pointing and saying the colours), continuing the patterns and talking about the repeated element. He even decided to make some pattern cards of his own, which I’ll cut up and laminate for him to use as well. I’m storing the pattern cards in a zip-lock clear plastic bag inside the Duplo box. 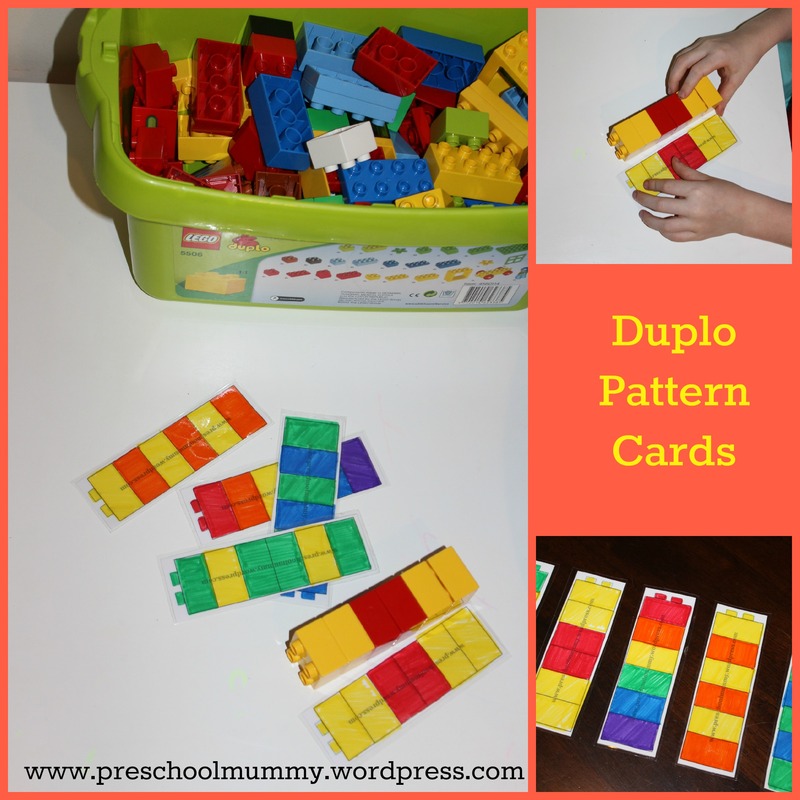 I hope you enjoy making and using some Duplo pattern cards with your little ones! Let me know how you go! Next Post Our Rainbow Adventure – it all started with an idea.